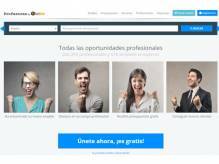 Profesores.com - Spanish job site for teachers. Useful website where many language schools in Barcelona post teaching jobs. You are add your CV and get job liistings sent automatically. The website is in Spanish but many of the ads for teachers are in English.